So, like it or loathe it, MQA is here and being adopted by lots of you guys out there. Tidal recently brought MQA to mobile on Android. Here's a handy set-up guide featuring our Hannah, Owen and the lovely xDSD! (Not that Hannah and Owen aren't lovely, of course). This guide works for any MQA DAC. Enjoy. 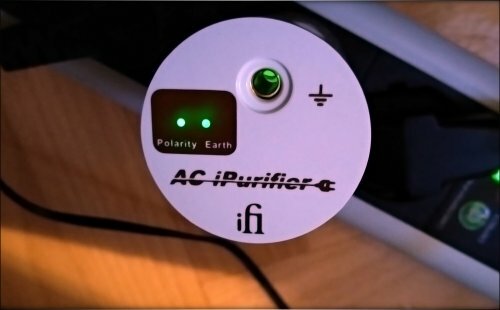 With every product release, iFi manages to surpass itself, and their latest release, the xCAN, is no exception. The xCAN is a portable, wireless DAP amp capable of storing eight Bluetooth devices at once while delivering 1000mW of power per channel. And with in-built aptX and AAC Hi-Res streaming via Bluetooth, music has never sounded this clear. 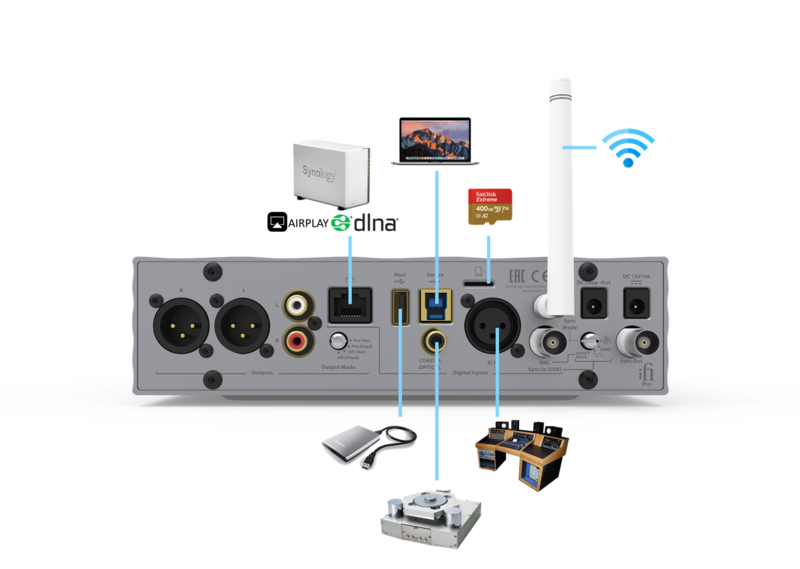 It’s so clever it replaces two previous iFi products in one go, the micro iCAN SE and the nano iCAN. And by this we don’t just mean the music! Not only can the xCAN be used as a powerful headphone amplifier with smartphones, computers and DAPs, it can also be used at home with your smart TV. Imagine the scenario. It’s late at night and you feel like watching a film or firing up the Xbox but you don’t want to disturb your other half. Your headphones don’t quite reach from your smart TV to your bed or comfortable place on the sofa. The xCAN is the answer. Pair the xCAN with your smart TV via Bluetooth, plug your headphones into the xCAN at your side and you are good to go. No more untidy wires! Or problems with short cables! Got a digital audio player? While the DACs in most high-end DAPs are more than worthy of doing the job, their inbuilt headphone amplifiers often fall short as they lack in power. Give them the boost they deserve with the xCAN. With a 1000mW of power per channel, the difference is there to be heard. Match our power with your player for the perfect combo. Not happy with your smartphone’s amplification but don’t want wires getting in the way? Simple – plug your headphones into the xCAN, pair it with your phone and pop it into your pocket. No more wires. You are free to use your phone as you wish – to text, to take selfies or to finish that annoying game of Candy Crush – all while listing to your favourite hi-res tunes. 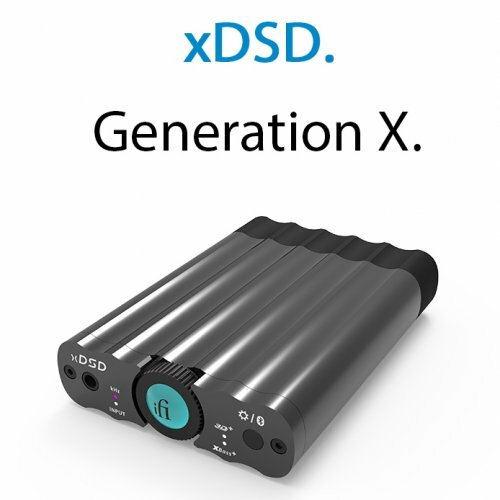 With a pure analogue volume control retaining full-resolution at all volume levels, the xCAN is a significant sonic step up for all smartphones, DAPs computers and TVs. The 3D+® and XBassⅡ® functions bring both sensitivity and power and the listener will feel the music and lyrics flowing around the room. And it delivers high-end audio quality from both Balanced and S-Balanced outputs. All these features have been packed into a resilient magnesium-aluminium body measuring just 95 x 66.5 x 19mm, just like the xDSD. And coming in at a weight of just 127g, the xCAN packs a mighty punch without breaking a sweat. *based on the Olive/Welti target response for correct natural sound with headphones and IEMs. The xCAN gives audio the boost it needs by cutting background noise and restoring a natural, cleaner sound. Whether listening to the latest chart-topper or much-loved 60’s classic, music never grows old with the iFi xCAN. The retail price of the xCAN is US$299 (ex-tax) or €349/£299 (incl VAT). 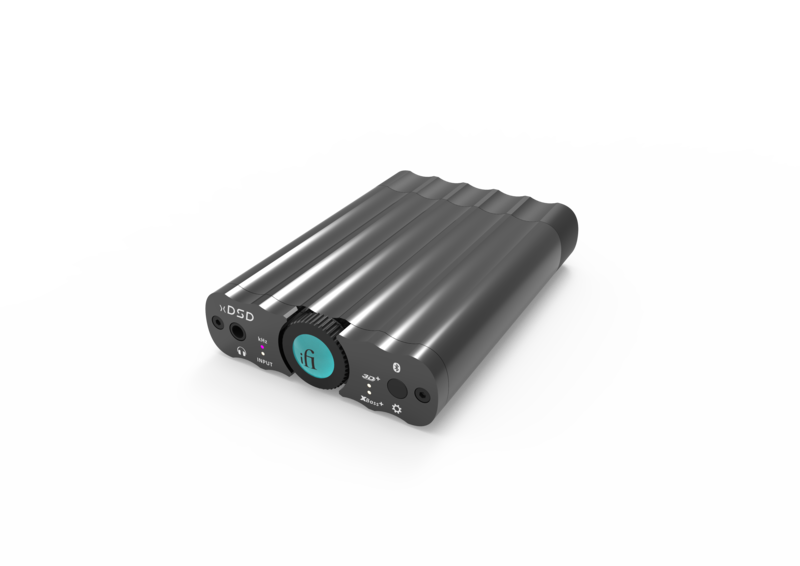 EISA Best Portable DAC / Headphone Amplifier. 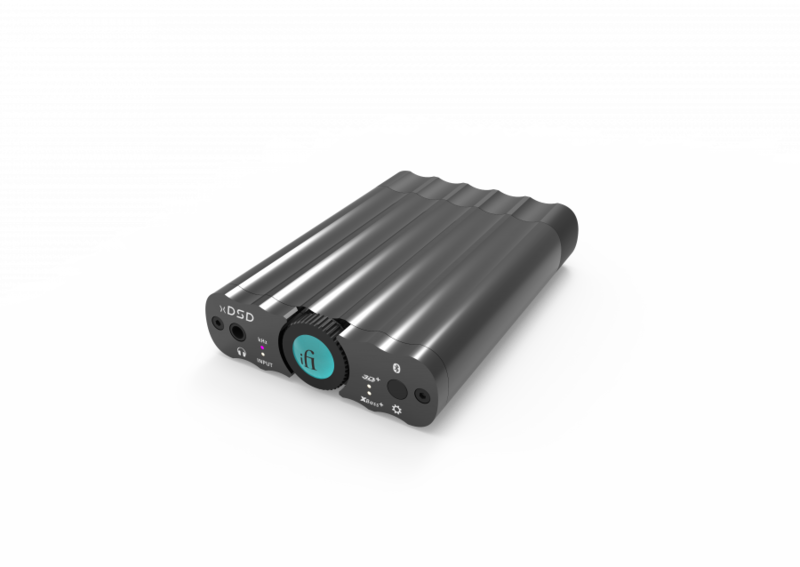 “The release of the xDSD had us excited for a long time, so winning the EISA award for Best Portable DAC / Headphone Amplifier is the icing on the cake. Wireless Bluetooth - Delivers CD-Quality music wirelessly to your headphones from your smartphone, DAP, laptop or smart TV. S/PDIF and USB inputs - Wired, the USB type A OTG/CCK connector offers the ultimate High-Res audio performance for smartphones, laptops and USB enabled DAPs. 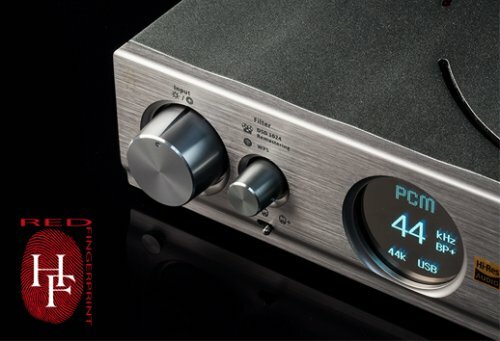 The 3.5mm coaxial/TOSLINK combo S/PDIF input gives older DAPs and CD players a new lease of life as a transport to serve High-Resolution audio. Burr-Brown TrueNative - Hear music as the artist intended. The Burr-Brown True Native® chipset means file formats remain unchanged for the purest sound. MQA - For MQA tracks, simply connect to Tidal (on your computer) and check the options to stream MQA. S-Balanced Performance - The iFi exclusive S-Balanced technology delivers the maximum performance from single-ended and balanced headphones alike. 3D+ & XBass+ - 3D+® creates a louder, deeper soundstage that puts the artist with you in the room with you. XBass+® corrects headphone/speaker bass response to deliver a more profound, tighter, richer bass. Cyberdrive - The Cyberdrive headphone amplifier stage is one of the pivotal new circuit designs in the x-series. This new design places all parameters of the analogue system under digital control for a ‘best of both worlds’ scenario. The retail price of the xDSD is US$399 (ex-tax) or €449 /£399 (incl. VAT). 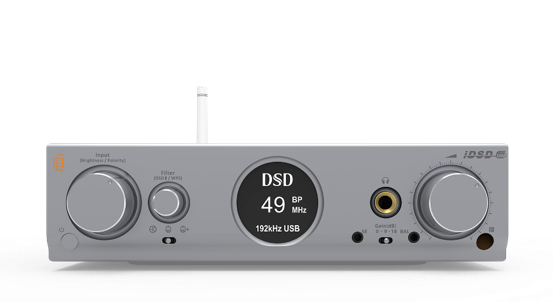 Having sparked a revolution with its low-cost DACs that offered music fans portable 256 stereo for less than £500 a few years ago, iFi has maintained its position at the vanguard of the audio world with the launch of the ground-breaking Pro iDSD. There is simply nothing like it. We have paid great attention to every section of this DAC/headphone-amp/preamp – no stone has been left unturned. Tried and tested classic noise reduction techniques found in tube equipment have been combined with cutting-edge, 21st century technology to deliver a superlative performance. The quad section uses a quad “stack” of Bit-Perfect DSD and DXD DACs by Burr-Brown in a custom “interleaved” configuration. This arrangement enables a total of eight pairs of differential signals to be used and mixed totalling four pairs of signals per channel. The iFi Pro iDSD is a revolutionary DAC that combines a number of different features to give your home audio system the best possible playback resolution and sound. 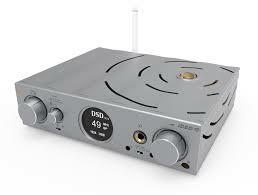 It can handle all audio formats to DSD1024 or DSD512 or PCM 768K with user-selectable digital filters. It’s taken a while to come to market but, boy, has it been worth it. This innovative digital engine will shape the next generation of iFi products and they will rock the digital world. A quad “stack” of Bit-Perfect DSD and DXD DACs by Burr-Brown work in a custom “interleaved” configuration so that up to eight pairs of differential signals can be used and mixed. The FPGA excels, by handling the up-sampling duties to attain the DSD1024 audio format. In fact, the Pro iDSD can handle all audio formats to DSD1024 or DSD512 or PCM 768K with user-selectable digital filters. 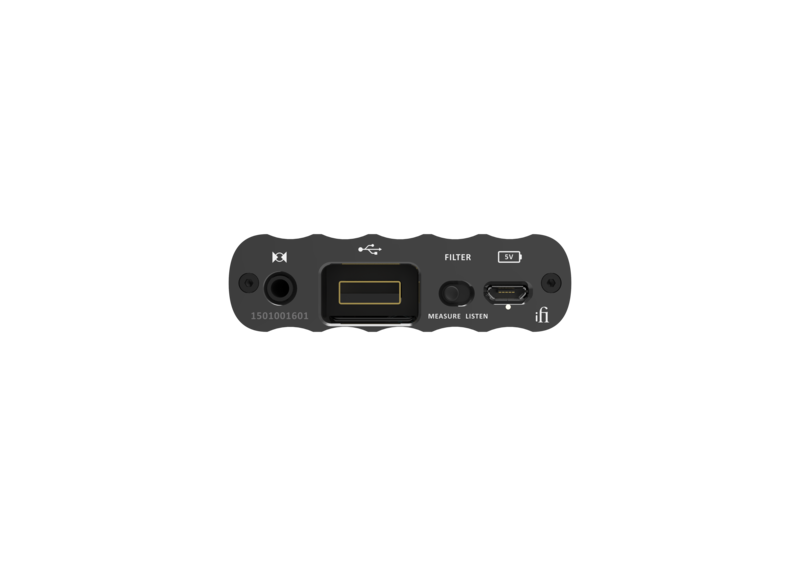 It can handle all audio formats to DSD1024 or DSD512 or PCM 768K with user-selectable digital filters and also gives the user the option to listen to tracks via MQA. Many of the tools and information available on this Web site do not require you to provide personal information. To take advantage of certain features, we may ask you to provide personal information, such as your e-mail address, name, home or work address, telephone number, job title or industry in order to transact business and respond to your inquiry. We may also collect demographic information. If you choose to make a purchase, we will ask for additional information, such as your credit card number and billing address. In all cases, your decision to provide us with personal information is voluntary, and such information will only be used to help transact your business or respond to your questions. We may collect information about your interaction with our site and services. For example, we may use Web site analytics tools on our site to retrieve information from your browser, including the site you came from, the search engine(s) and the keywords you used to find our site, the pages you view within our site, your browser add-ons, and your browser’s width and height. We may also use technologies, such as cookies and Web beacons (described below), to collect information about the pages you view, the links you click and other actions you take on our site. Additionally, we collect certain standard information that your browser sends to every website you visit, such as your IP address, browser type and language, access times and referring Web site addresses. When you receive newsletters or promotional e-mail from iFi Audio, we may use Web beacons, customized links or similar technologies to determine whether the e-mail has been opened and which links you click in order to provide you more focused e-mail communications or other information. In all cases, your decision to provide us with personal information is voluntary, and such information will only be used to help transact your business or respond to your questions. From time to time we might exchange, share and/or cross-reference information, including contact information about you with our affiliates that will enable our affiliates to contact you regarding products and services that may be of interest to you. iFi Audio and its affiliated brands does not sell or disclose any personal information obtained from our site visitors without their consent to any unaffiliated third party for purposes unrelated to servicing their requests, unless required to do so by law or other regulatory authority. Many visitors to our site wish to remain apprised of new products and services and opportunities. In that case, you may request to receive e-mail messages from us by so indicating and providing your contact information. You can stop the delivery of future promotional e-mail from IFi Audio sites and services by following the instructions in the e-mail you receive. iFi Audio does not knowingly collect information from children under the age of 13 and does not target its Web site to children under 13. We encourage parents and guardians to take an active role in their children’s online activities and interests. In order to improve our products and services and the Web site and provide more convenient, relevant experiences to our customers, we may use “cookies,” “Web beacons,” and similar devices to track your activities. A cookie is a small amount of data that is transferred to your browser by a Web server and can only be read by the server that gave it to you. It functions as your identification card. It cannot be executed as code or deliver viruses. Non-EEA countries might not have the same legal framework for data protection as the EEA countries. In particular, the United States, which is the most common destination of our transfers of Personal Information outside the EEA, is not considered to provide a level of personal data protection equivalent to that of the EEA. We will, however, ensure the transfers comply with EU data protection law. Our standard practice is to use standard data protection contract clauses approved by the European Commission as the basis for such data transfers. You may read more about this on the European Commission Justice website at (http://ec.europa.eu/justice/data-protection/international-transfers/adequacy/index_en.htm). Financial Information Since features exist on this Web site that enable or will enable visitors to receive services and/or register for events online using their credit/debit card, the financial information collected by IFi Audio during these transactions is used solely by IFi Audio or IFi Audio’s vendors who collect this information for IFi Audio. This information is not shared with outside parties except for the purposes of finalizing the transaction. We take precautions to protect the security of your contact information that you share with us. Unfortunately, however, no data transmission over the Internet can be guaranteed to be 100% secure. As a result, while we strive to protect your contact information, we cannot guarantee or warrant the security of any information you transmit to or from our Web sites, and you do so at your own risk. 3.5mm HP Jack (TRRS balanced compatible, no microphone support, switchable to line out). Right of the jack, two separate RGB LEDs indicate sample rate and input selection. Volume (Rotary with ‘push’ button) with translucent centre and volume indication backlight. Right of the 3D+/XBass+ button are two separate white LEDs to indicate 3D+ and XBass+. The 3D+/XBass+ button push button cycles between all off, 3D+, XBass+ and both. 3.5mm SPDIF (Coax/Optical combo, 192kHz supported). USB A-type OTG Input mounted centrally. Filter switch that slides between ‘measure’ and ‘listen’. Micro USB connection for charging (power input only, full charger detection for fast charge). Below the micro USB port, an RGB LED indicates battery status. Time flies by when the listener is immersed in the music played by the xDSD. Guitars sound real and a Steinway piano sounds ‘woody’ instead of ‘glassy’ like an electronic keyboard. Musicality overflows. 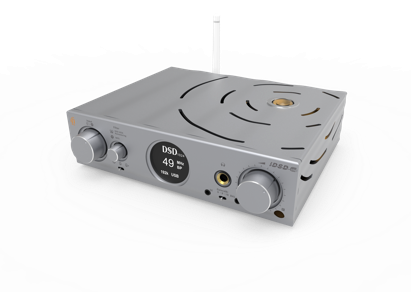 The retail price of the xDSD is US$399 (ex-tax) or €449/£399 (incl VAT). We can agree with this.